I think I was supposed to post this last week, sorry Rachel. The mommy-brain excuse is really getting old, isn't it? It's just that I have a thousand things on my to do list every day and I seem to actually accomplish about two things and those usually weren't even on the list! 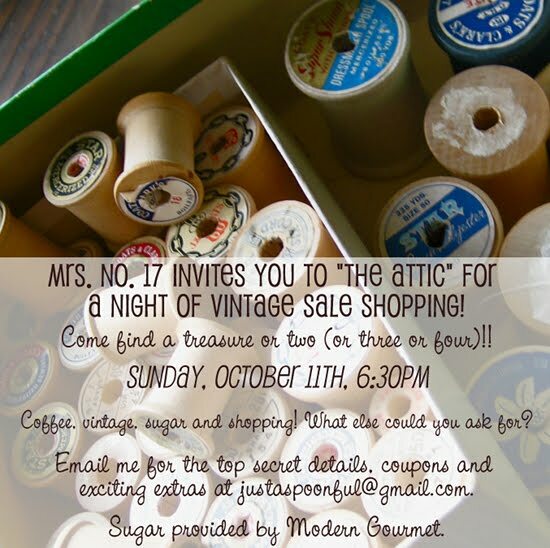 Haha...Anyway, this announcement isn't too late, my pal Rachel is having a sale of all the vintage goodies she has collected at estate sales over the last year or so, this Sunday evening. I am really excited because I have been to her home and she has amazing taste as is able to see the potential in thing a la Salvage Life! She's always saying "oh that? I found it on the side of the road." My kind of girl! It's at her home in Long Beach and you have to email her at the address provided below for details. She is super nice, so don't be scared. Hope to see you there!